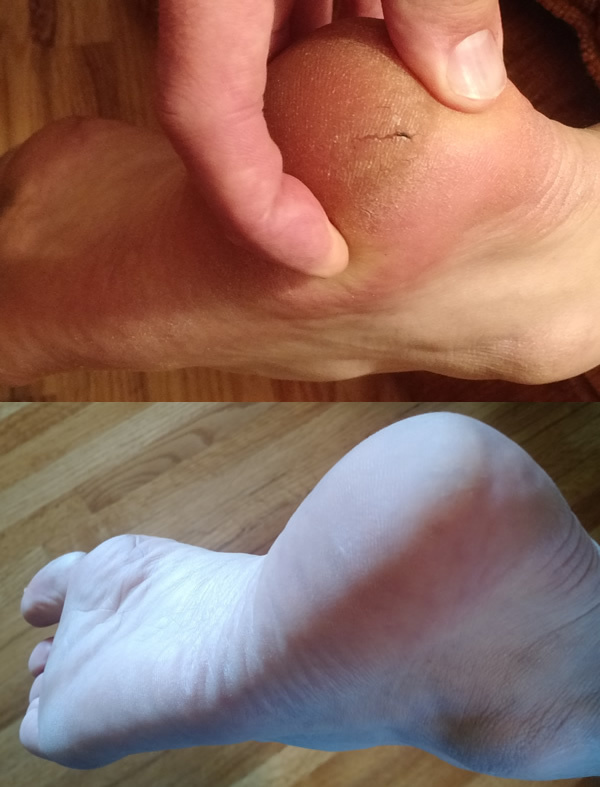 Cracked Heels and "Flip-Flop Feet"
We received this wonderful testimonial with "before" and "after" pictures showing the power of our Tallow Balm to take care of cracked heels. "Look at this pic of my cracked heel. I don't know if you can tell, but it was a really deep crack. So deep that it was really painful to walk. I'm trying to stay away from chemicals and a friend of mine suggested your balm. After just one or two applications it didn't cause any pain anymore! My plan was to continue to put it on in the morning and at night. Since it wasn't hurting anymore, some days I only remembered to put it on once, and others I didn't remember at all. Look at my heel after just one month of using your product off an on like that! The crack is completely gone with no signs of any other cracks. Pretty amazing!" "I put it on my feet, and my daughter touched them a couple days later and said, 'Wow, your feet are so soft.'" "Used it on my dry feet and it made them so soft!" "It has penetrated through the layers of dead skin, softening the hard areas." "I love the way it softens my feet. I slather some on the bottom of my feet, put socks on, and go to bed, and in the morning I have softer feet."